Last week, Rhode Islanders attacked and sank the British navy ship HMS Gaspee. Despite some isolated events like that, the colonies seemed to lack a united front after the removal of soldiers from Boston and the repeal of most of the Townshend duties. Without continuing outrages from London, some radical patriots grew concerned that the majority of the colonial population would grow complacent. The North Ministry used the calm to make many small tweaks to the power structure. This would give London a much greater advantage the next time officials provoked a showdown. Following the trial of the Boston Massacre soldiers, acting Massachusetts Gov. Hutchinson submitted his resignation to Secretary of State Hillsborough in London. Hutchinson had decided he simply was not up to the task of enforcing law and order in the colony. As his letter of resignation traveled across the Atlantic, another commission headed the other direction, granting acting Governor Hutchinson a commission as the actual Governor. When his resignation arrived on London, Hillsborough refused to accept it. London needed a man who knew the colony well and had shown his loyalty to the crown. So congratulations Governor. I’m sure the next few years will be so much fun for you! In late 1771, London began paying Hutchinson’s salary directly. Until then, most colonial legislatures had paid governors. Although Parliament had repealed the Townshend duties, the part of the Townshend Act that called for direct payment of colonial officers remained in effect. To many members of the public, it seemed perfectly reasonable that the crown would pay a crown appointed governor. To the radicals in the legislature, it was another attempt to undermine their power. A governor paid from London would have less incentive to stay in the good graces of the legislature. He could also suspend the Assembly if it got unruly without risking his own income. The following year, Hillsborough issued further orders paying the salaries of colonial judges, and other government officials. It did not help matters that the much of the money to pay these officials came from the hated tea tax. London officials also debated changing the colonial council in Massachusetts from an elected body to one appointed by the Governor. This was the normal system in most royal colonies. 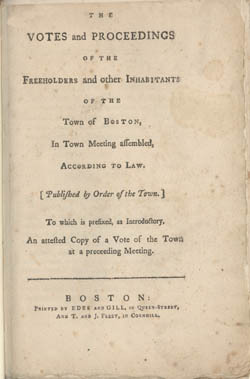 The Massachusetts Charter, however, called for an elected council. The Council had been a barrier that prevented the Governor from acting on issues, like calling out the army to suppress riots. The elected Council in Massachusetts almost always stymied the Governor. Changing to an appointed council however, would require an amendment to the colonial charter. Given the tensions, London officials decided not to pursue this reform at this time. Still, Samuel Adams saw these changes as part of a broader effort bring the colonies more firmly under London’s control. In another such move, Hillsborough had refused to accept Benjamin Franklin as the colonial agent for Massachusetts. While the Massachusetts Assembly had approved his agency, the Governor had not. To Hillsborough, this meant Franklin had no legitimacy. This was another subtle attempt to shift power to the King and his appointed ministers in the colonies, and away from the elected legislatures. These were all minor disputes though. For most colonists, London’s changes in government pay structures were insignificant behind the scenes matters. They bothered some politically astute radicals but few others. From late 1770 until early 1773, England and her colonies returned to relative normal. The big sticking point for most was the non-importation agreements on tea. We’ll get into that more in a few weeks. But while it remained a political issue, it had very little impact on the economy overall. During this time, several moderates began to drift away from the movement. John Hancock reduced his association with the radicals. Gov. Hutchinson, hoping to pull him back to the other side, gave him back command of the Corps of Cadets. He also offered to help Hancock get a seat on the Governor’s Council. Hancock though, declined the Council seat, saying he wanted to focus more on his business and less on politics for either side. Similarly, men like John Dickinson in Pennsylvania and George Washington in Virginia, turned back to their professions. Both remained members of their state legislatures. That work though took a backseat to other matters, like land speculation and building their businesses. Samuel Adams’ concerns that London apparently was making little changes all over the continent encouraged him to begin the Committees of Correspondence. Men across Massachusetts and across the continent agreed to write each other regularly to let everyone know what political changes were happening everywhere. This way, they could determine if minor changes were part of a larger coordinated long term attempt to control the colonies. These committees also allowed the radicals to develop a coordinated response to any noteworthy activities and build joint strategies to resist them. Over the next few years, the committees would expand, creating a communications network that helped the radicals organize beyond the confines of each individual colony. Colonial legislatures had used committees of correspondence before, both for communications with London as well as with other colonies and towns. Most were for a limited time and purpose though, such as coordination of opposition to the Stamp Act a decade earlier. Many of the committees this time were created outside of the legislatures. They did not have one specific purpose, but were designed to keep radical politicians all over the continent informed about policy changes and other concerns on any issue that might arise. The Massachusetts Committee was not part of the State Assembly, but rather from the Boston Town Meeting. This prevented the Governor from having any control over it. 11. “Parliament is attempting to establish an American Episcopate.” (in other words bringing Anglican Bishops to America). I had mentioned that Hancock had been moving away from the radicals. However, he had served as moderator of the town meeting that approved the Boston Pamphlet. As moderator, he had to sign it to indicate the meeting’s approval of the document. Had he refused to sign, he would have been shunned for his Tory sympathies. Since Gov. Hutchinson and others considered the document seditious, signing meant another break with the establishment. Forced to take sides, Hancock signed the document, meaning his name became associated once again as a leader in the patriot cause. In Virginia, before the House of Burgesses could vote on the creation of a Committee, Lord Dunmore dissolved the House. Most of the representatives moved across the street to a tavern, where they agreed as private citizens to create a group to correspond with other colonies. One way or another, active committees began in eleven colonies, typically with the more radical political leaders in charge of them. Most correspondents were members of the Sons of Liberty. Letters supplemented newspapers as a way of learning intelligence. It also gave leaders an opportunity to share ideas and coordinate opposition. Probably most importantly, the committees gave like minded leaders throughout the colonies a chance to get to know one another. Although not officially part of any committee of correspondence, Benjamin Franklin was still working as a colonial agent in London, despite Hillsborough’s refusal to acknowledge him. Franklin regularly corresponded with various colonial leaders and officials in London as his work required. Somehow, Franklin obtained a number of letters from Governor Hutchinson in late 1772. It is still unclear exactly how he got them, but they appear to have come from an anonymous member of Parliament. He also had a few letters from Lt. Gov. Andrew Oliver and other leading colonial Tories. The letters bad mouthed opposition leaders and recommended that London had to limit British liberties in the colonies if officials ever wanted to restore order. Similar letters had doomed Gov. Bernard’s administration a few years earlier. It does not appear that Franklin was trying to destroy Hutchinson. He sent the letters to Thomas Cushing in Boston, with the instructions that Cushing keep them confidential and only share them with a few members of the patriot leadership. Franklin’s purpose in sending the letters was to try to convince Patriot leaders that colonial problems were not the result of London officials inclined towards tyranny. Rather, officials like Hutchinson were painting a poor picture of the colonial situation. Patriots needed to get their side of the story to London, perhaps by providing more support and resources to their agent, Mr. Franklin. Cushing, however, working closely with Samuel Adams and Joseph Warren, decided not to keep the letters confidential. In the summer of 1773, they published the letters in the newspaper. The release of the letters followed on Hutchinson’s speech to the Assembly a few months earlier, proclaiming that the Parliament was the supreme legislative authority, and that unless the colonies were considering something crazy like independence, they needed to get over themselves and accept Parliamentary authority. Relations between Gov. Hutchinson and the the colony’s elected leaders were never good. But the speech and the letters made things downright poisonous. But despite the continued bickering among politicians, many moderates in the colony turned their focus back to business. And for quite a few colonists, business meant speculation in western land. This returns us to the issue that started much of this whole course of events: the colonists’ desire to settle the Ohio Valley. We last left the Ohio Valley back in Episode 19, with the end of Pontiac’s Rebellion and King George’s Royal Proclamation of 1763 that colonists could not move west of the Appalachian Mountains. The colonists were not happy about the decree then, and a decade later still wanted either to subvert it or get it repealed outright. Several Pennsylvania Indian traders who had lost property during Pontiac’s Rebellion sought compensation. Eventually the traders formed the Indiana Company to recover their losses. Owners received stock in the company based on the value of their losses. Once they had the stock though, they were free to sell it to speculators. The value of the stock varied based on the chances that the owner or his assignee would ever get compensation from anyone. Much of the stock ended up in the hands of a few wealthy speculators, including Samuel Wharton and sons in Philadelphia and William Franklin, Governor of New Jersey and son of Benjamin Franklin. After officials in London refused to consider any requests, the group focused on the Indians. They worked with Indian agent William Johnson, eventually hammering out the Treaty of Fort Stanwix in 1768. In that treaty, the Iroquois turned to their old favorite practice of trading land that other tribes inhabited. In this case, the Iroquois sought to protect their land in Western New York by offering up land which covers what is today West Virginia, and some surrounding areas. With treaty in hand, the Company sent agents to London to obtain royal approval. Since the land was west of the Alleghenies, they needed the Privy Council to amend the Royal Proclamation of 1763, you remember, the King’s promise to the Indian tribes that he would keep European settlers from moving into the very land that European colonists now wanted to settle. The Company hoped to convince officials in London that the Iroquois agreement to give the land would eliminate any concerns about Indian opposition. Never mind that none of the tribes actually living on the land had approved the deal. 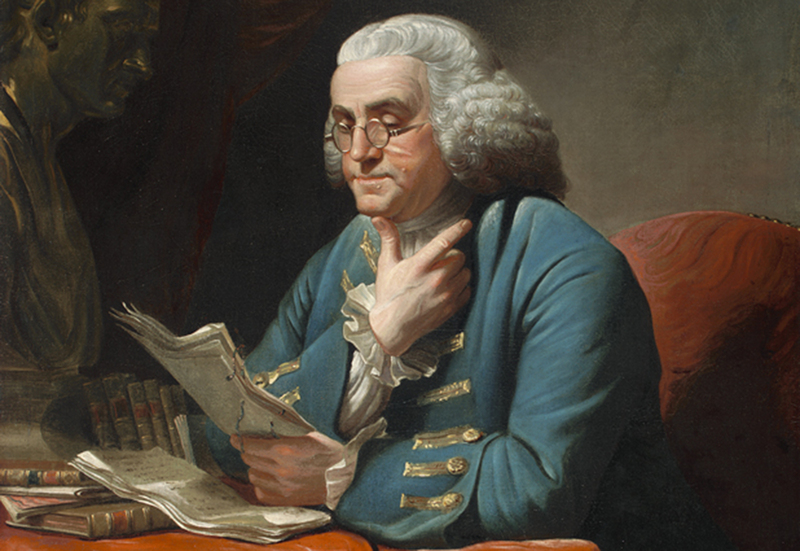 The agents worked with Benjamin Franklin, who was already well connected as a colonial agent in London. Since his son William had major investments in the company, Benjamin had a strong interest in advancing this project. Although he never had a good relationship with Lord Hillsborough, Franklin knew that getting this done would require the approval of the Secretary of State for Colonial Affairs. Hillsborough met with the agents and seemed surprisingly approving. He even encouraged the group to ask for more land to make it the size of a real colony. The group planned to create a new royal colony, with a crown appointed governor and an elected legislature. Like earlier colonies the group would bear all the costs and risks of settling the colony. Unlike earlier colonies, the group would also make a one time payment of over £10,000 as well as an annual quitrent to London based on the number of acres granted. Everything seemed to be headed in the right direction. The Indiana Company merged with the Illinois Company, and provided shares to the Ohio Company of Virginia, both of which had competing claims to the land. 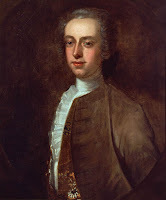 They took on several partners in London, including Thomas Walpole, son of a former Prime Minister and an important member of Parliament himself. They changed the company’s name to the Grand Ohio Company. Initially, they planned to name the colony Pittsylvania, after William Pitt. Later, however, they adopted the name Vandalia, in honor of Queen Charlotte, who was descended from the Vandal tribes of Europe. In 1772 with their petition before the Privy Council, Lord Hillsborough issued a report recommending that the Council reject the petition. The report stunned everyone involved. It is unclear why Hillsborough turned on the group. It may have been that he adopted the concerns of Gen. Gage that the inland colony would run the risk of another Indian uprising. He also expressed concerns about allowing colonists to set up inland colonies where it would be harder for the military to control them, away from the British Navy. It may have been because the group failed to give Hillsborough any shares in the company, in other words a bribe, to let it go forward. Benjamin Franklin though, suspected Hillsborough of setting up the group for failure from the beginning, just because he was a pompous jerk who liked to mess with people. Whatever the reason, the group’s effective lobbying and other politically influential London investors got the Privy Council to overrule Hillsborough and approve the plan anyway. And this is the main reason I decided to discuss the Vandalia project now. 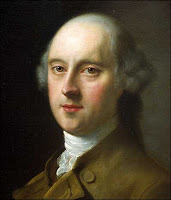 Hillsborough was so flustered by the Council’s decision to reject his recommendation that in August 1772, he resigned as Secretary of State for Colonial Affairs. The Colonies happily received news of his resignation. Probably no one was happier than Benjamin Franklin, who never liked the man. The Grand Company of Ohio would spend the next few years trying to get final authorization for the colony. But infighting between stockholders and competing claims by other colonial land speculators, including George Washington, continued to delay the project. After the outbreak of hostilities in 1775, the project had to be put on hold and went nowhere. Nearly a decade later, in 1781 Benjamin Franklin and Samuel Wharton tried to resurrect their claims before the Continental Congress, arguing that the now independent United States was bound by the contractual rights to the land that Britain had given the investors. This was around the same time Virginia was ceding its claims to most of what we consider today the midwest. 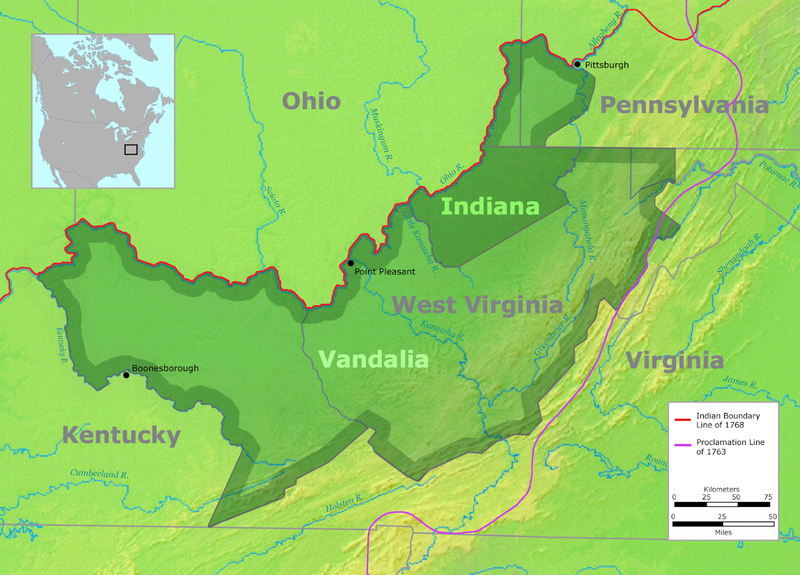 But Virginia maintained its claims to most of the land that would have become this new State of Vandalia and objected strongly to the competing claims. Congress rejected the claims of the Ohio Company investors and ratified Virginia’s claims to the land. All of the investors lost their money, unless they had sold out earlier to speculators. 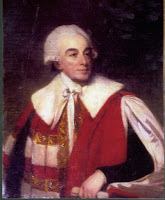 Back in London, William Legge, 2nd Earl of Dartmouth replaced Hillsborough as Secretary of State for Colonial Affairs. Dartmouth had been a member of the House of Lords since 1750, when, at age 19, he inherited his grandfather’s title. His father had died when he was only a year old. His mother remarried a widower named Lord North, who had a son Frederick. William’s step-brother would grow up to be Prime Minister Lord North. Since nepotism was a big part of the British government, North had no trouble appointing his step-brother to this key position in his ministry. Dartmouth seemed much more accommodating of colonial interests. Unlike Hillsborough, he did not seek not to crush them into submission. Instead, he would try to work out political compromises that would satisfy all. 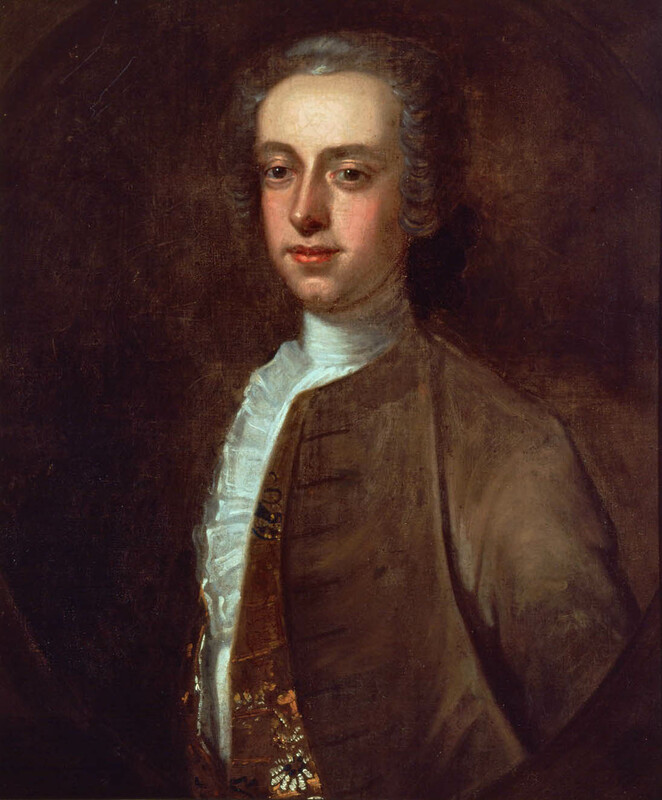 Dartmouth, by London terms, was a moderate who had supported the repeal of the Stamp Act. He had also contributed to the establishment of a college for Indians in New Hampshire, which still bears his name today. Franklin and others thought that Dartmouth’s replacing Hillsborough would lead to better relations between England and the colonies. Sadly, things would not work out that way, but in 1772, everyone remained optimistic about the new appointment. Dartmouth, at least seemed much more reasonable and accommodating. Next Week, The dispute over the border of New Hampshire and New York flares up again as residents of both colonies attempt to assert their property claims. This gives rise to a militia army known as the Green Mountain Boys. Visit the American Revolution Podcast (https://amrev.podbean.com) for free downloads of all podcast episodes. Marshall, Peter, "Lord Hillsborough, Samuel Wharton and the Ohio Grant, 1769-1775"
Bailey, Kenneth The Ohio Company of Virginia and the westward movement, 1748-1792, Glendale, CA: Arthur H. Clark Company, 1939. Cushing, Harry (ed) The Writings of Samuel Adams, Vol. 2, New York: GP Putnam's Sons, 1906. Cushing, Harry (ed) The writings of Samuel Adams, Vol. 3, New York: G.P. Putnum's Sons, 1907. Hosmer, James Samuel Adams, Boston: Houghton-Mifflin Co. 1913. Hull, Anna L. The proposed colony of Vandalia, Univ. of Illinois, thesis project, 1914. Hutchinson, Thomas & Hutchinson, John (ed) The History of the Province of Massachusetts Bay, from 1749 to 1774, London: John Murray 1828. Hutchinson, Thomas & Hutchinson, Peter Orlando (ed) The Diary and Letters of His Excellency Thomas Hutchinson, Boston: Houghton-Mifflin Co. 1884. Spencer, Henry Constitutional conflict in provincial Massachusetts, (1905) (contains a thorough background on disputes over the charter and salaries of officials prior to the revolutionary era). Isaacson, Walter Benjamin Franklin: An American Life, New York: Simon & Schuster (2004). Knollenberg, Bernhard Growth of the American Revolution 1766-1775, Indianapolis: Liberty Fund 1975. Smith, Page A New Age Now Begins, Vol. 1, New York: McGraw-Hill 1976. Zobel, Hiller The Boston Massacre, New York: WW Norton & Co. 1970.